Centipedes are sometimes called “hundred-leggers” because of their many pairs of legs, but they can actually have anywhere from 15-177 pairs of legs, depending on the species. Interestingly, centipedes always have an odd number of pairs of legs. Most house centipedes are nocturnal, and prey primarily on flies, spiders, and sometimes plant tissue. Centipedes are found throughout the United States and the world. They are typically found in areas of high moisture, such as in rotting logs, under stones, in trash or piles of leaves/grass. 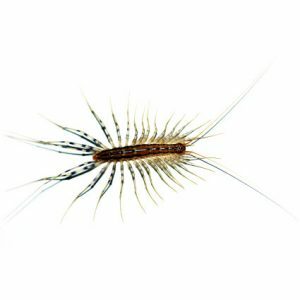 When they invade homes, centipedes are most commonly found in damp basements, crawlspaces, bathrooms, or potted plants. Centipedes are generally considered nuisance pests, as they do not pose significant health or property threats. However, all house centipedes have poison jaws with which they inject venom into their prey. If handled roughly, some larger species can inflict a painful bite that can break human skin and causes pain and swelling, similar to a bee sting. Take the Sting Out of the Carpenter Bee! Copyright © 2019 — SHS Pest Control • All rights reserved.